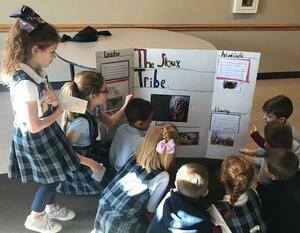 The second grade students recently completed a project on Native American tribes. Each group was assigned different tribe and students researched their clothing, housing, location, history, food, arts, crafts. 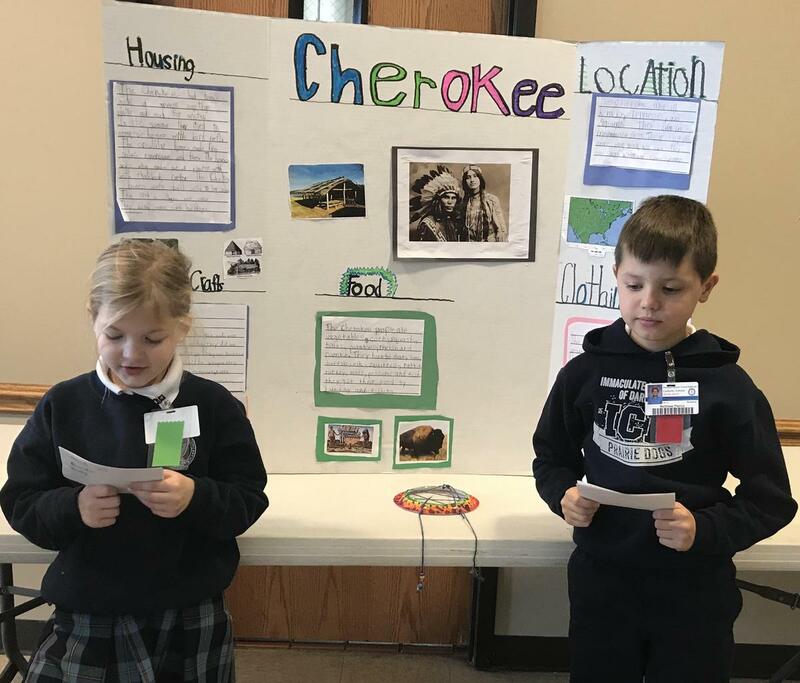 Students worked on this project in social studies, library, technology, and art class. 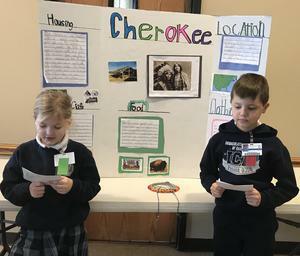 As the culminating activity, these second graders presented to the kindergarten and first grade students. Way to go second grade!